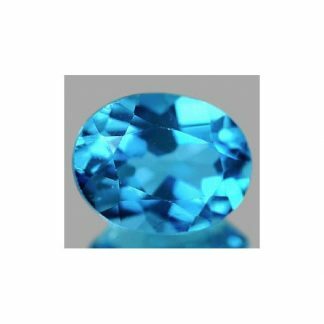 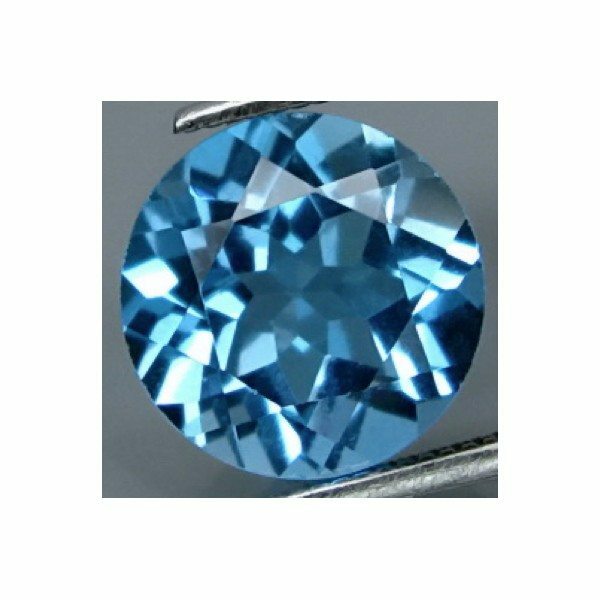 Sparkling Swiss blue Topaz loose gemstone, available at wholesale price on our online gems store, completely natural and genuine earth mined in Brazil, this gemstone comes with a beautiful and well proportioned round faceted cut with a lot of sparkle and shine. 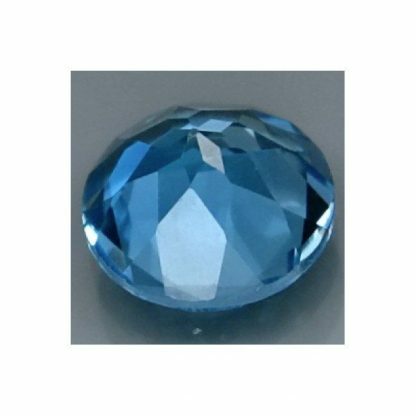 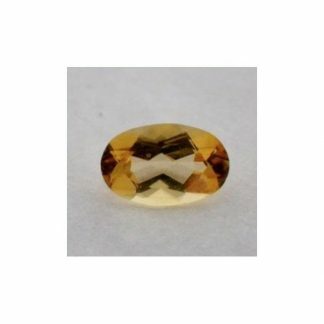 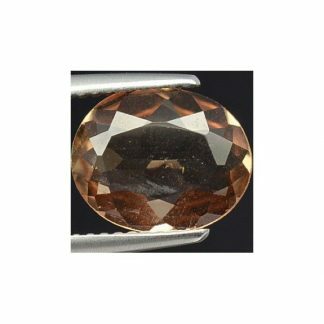 This brilliant Topaz weight over two carat and comes with good size, it is treated by irradiation a common treatment for Topaz and other gems to enhance the original pale color into a more vivid and deep blue color. 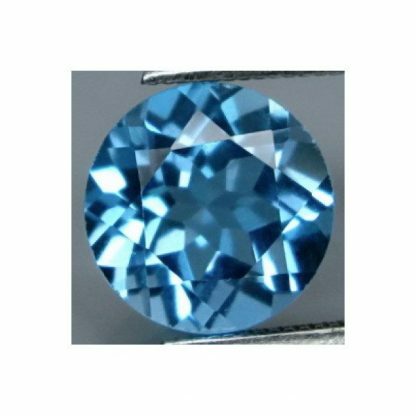 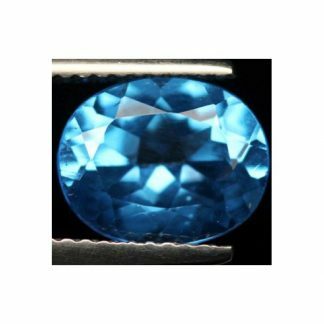 This natural blue gemstone is considered a durable gemstone duo to the topaz hardness of 8 on the Mohs scale, it present a nice bright blue color hue with medium tone and strong saturation, this attractive loose gemstone has a beautiful eye clean clarity without visible inclusions into the crystal of the stone. Dimensions: 8.0 X 8.0 X 5.0 mm.